There's no denying that TEMPLA's jackets look incredibly cool, but what makes them truly special is how well-built they are. 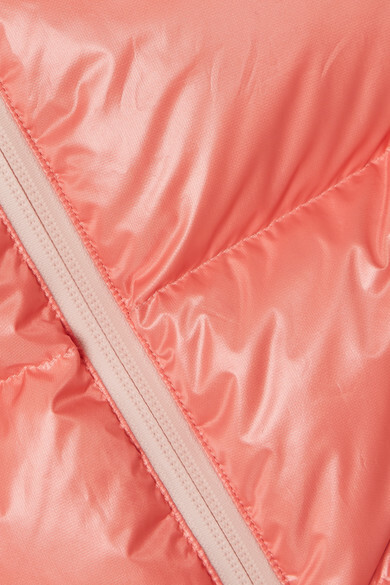 This '10k Nano' version is crafted from glossy baby-pink shell that boasts a 10,000mm waterproof rating and is filled with an insulating blend of goose down and feathers. 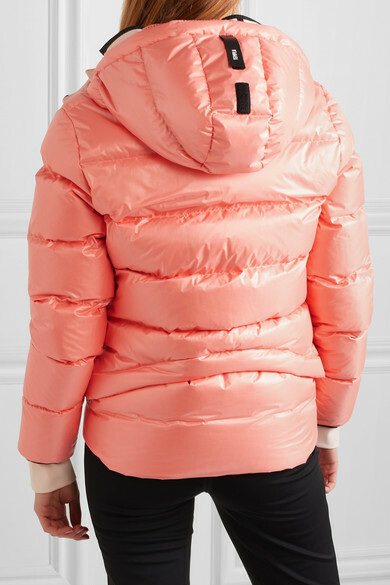 It has a fully-lined detachable hood and comes with a removable back panel for extra protection while on the slopes. 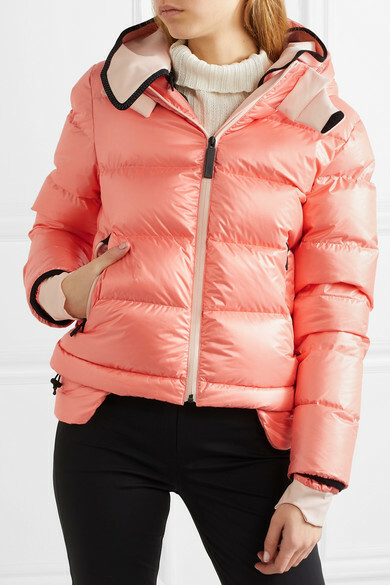 The two front zipped pockets are ideal for stowing your lift pass and a spare pair of gloves, while the internal one will keep valuables like your phone safe and dry. 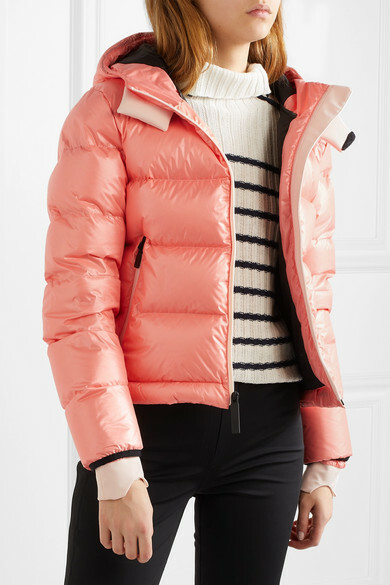 Shown here with: TEMPLA Ski Pants, Moon Boot Boots, Sies Marjan Sweater.